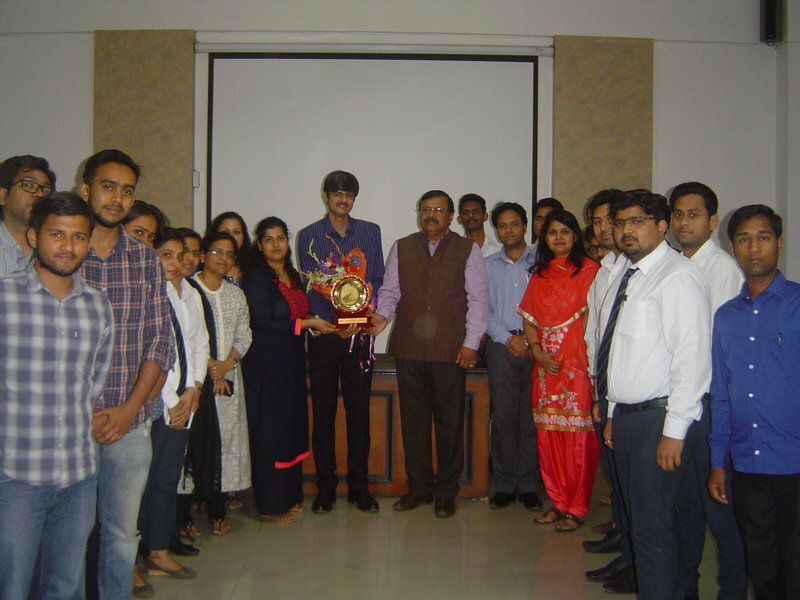 A unique feature of Jaipuria School of Business is its Practice Laboratory which consists of five Centres namely Centre for Leadership Excellence, Centre for Creativity and Innovation, Centre for Change and Development, Centre for Diversity and Inclusiveness and Centre for Advanced Data Analytics. This practice laboratory is a shared facility that provides leadership, best practices, research, support and experimental learning for a focused area. Each of the five CoEs is laboratories of experimental and experiential learning. 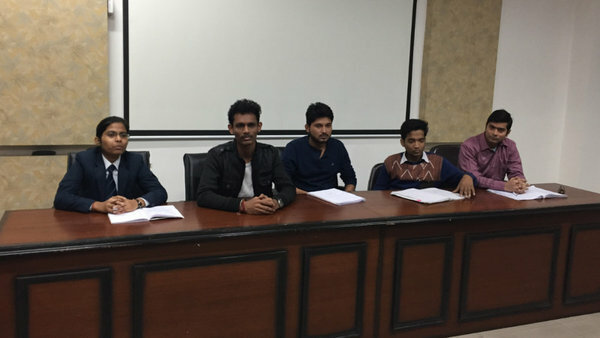 Each Centre is mandated to organize thematic conferences, student seminars and outdoor practice activities led by the students themselves under the watchful guidance of the Faculty Chair of the Centre. Leadership matters, it has always mattered in history. There is no agreement among intellectuals on the process of developing leaders but there is complete unanimity over the qualities the most successful leaders exhibit. Theories of leadership provide deep insight into how successful leaders work but most learning happens when one seats on the hot chair. The Center for Leadership Excellence has the vision and mandate of a laboratory of practice. The Centre is fostering an environment where emerging models of leadership can be explored and the theoretical and practical value of these models can be disseminated to the students through innovative modes of experiential learning. 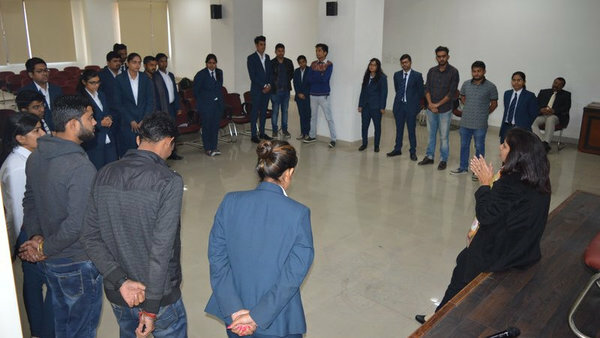 The Centre organizes campus visits and talks by CEOs and CXOs who are established leaders of practice and creates opportunities for students to directly interact with the Leaders from different industries and corporates. The Center activities are led by students and through organizing different events, indoor and outdoor; the students get opportunity to hone their leadership skills. Regular debates and seminars on emerging issues help the students assimilate the core leadership values of synthesizing and accommodating differences in perspectives and opinions. The students discuss great leaders and masters of the leadership craft starting from Socrates and Alexander to Mother Theresa, from Asoka the Great to Swami Vivekananda, from Andrew Carnegie to Indira Nooyi. The role models inspire the students to follow their footsteps and also stamp their new footprints. Human ingenuity has no limits. All resources are limited except the capacity of human mind to create and innovate continuously adding more and more value. Creativity at its peak can develop something out of nothing and many organizations have experienced huge success by harnessing employees’ creative potential in the right way for the benefit of the Organization. Global business thrives on creativity. Disruptive growth strategies are founded upon the employees’ creativity and fueled by technological advances and process innovation. The Centre for Creativity and Innovation organizes various activities that aim at bringing forth the creativity of the students and encourage them to think in an innovative way to resolve complex issues. 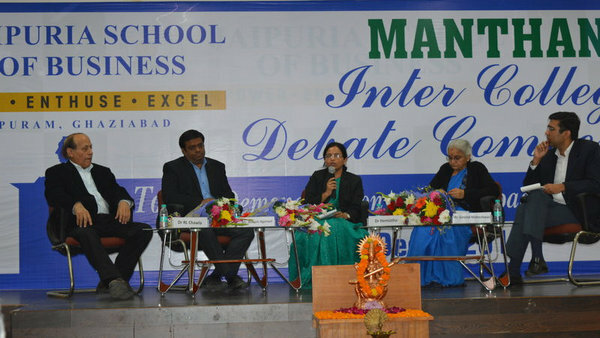 Through various activities that take place under this centre include Ad-Mad Competitions, Student Seminars, Student Talk Shows, The Most Innovative Inventions, Brand Creation, etc., the students of Jaipuria School of Business hone their creative potential and keep their creative passion alive and ready for facing the real life world of business. The way we live has changed in so many ways. What is more important is that while these changes have been happening at the micro level, these are but consequences of a macro-level change – a change that has taken place due to the advances in science, technology, geo-political equations, trade cycles and economic upheavals. The change will continue and when we will look back twenty years from now, we may be awestruck. Life in 2040 might bear no resemblance to life in 2016. Therefore it’s very crucial for survival of business to connect the dots between the present and the future. It brings to the fore the need to be agile and proactive to adapt, be flexible, to respond, and mutate to changes in surroundings – the very basic principle of evolution. The Centre for Change and Development presents an avenue for keeping the students up to date and up to the speed of change in the environment. The Centre creates opportunities for students to “adopt, adapt and adept” change by practicing change in simulated laboratory conditions. The activities undertaken under the Centre include formal and informal interaction and engagement with society and environment. Business Sustainability thrives on leveraging Diversity in the human race and building cultures of excellence around inclusiveness of all the human resources available to the Organization. It is said that those who erect walls around them get buried under that wall. Many empires, dynasties and business organizations have fallen and perished due to their inability to recognize the creative as well as destructive potential of human diversity. For long business managers assumed that diversity and inclusiveness were issues for the society and governments to tackle and the realization of the cardinal sin occurred only after the global economic meltdown that happened shaking the whole world with the collapse of the Lehman Brothers. Banking institutions have woken up and regulators of the market economy have come down heavy upon business, that did not implore the sustainability issues and that failed to act proactively. The research into accidental sustainability led to the discovery of the strong linkage between respect for diversity and business sustainability in a world fractured by ideologues of intolerance. The growth of capitalism has been capped by intolerance and hatred that is spreading in the larger society making business difficult to thrive. Hence it is necessary to educate and inculcate the value of diversity and inclusiveness among young minds through various events and activities of practice. In 21st century, enormous amount of data is getting accumulated through the internet application environment. Companies are being valued on the basis of their efficacy in customer-centric data analytical prowess. Data analysis has become predictor of business fortune. Today, the field of data analytics is growing rapidly and “Big Data” has become a buzz word in Business. The whole science of Data Analytics is going through a major transformation right now. This importance is driven by intense market demand and corporates are looking for people who have the skills for mining, imitating and manipulating data and translating it into results. At JSB’s Centre for Advanced Data Analytics students get the chance to upgrade their analytical skills and develop capabilities to exploit data analytics for solving problems and identifying opportunities so that they can make better business decisions. They learn how to examine large data sets to uncover hidden pattern, unknown relationships, market trends, customer preferences, optimizations of services and other useful business information through live data of an industry.